Wooden gates are beautiful. 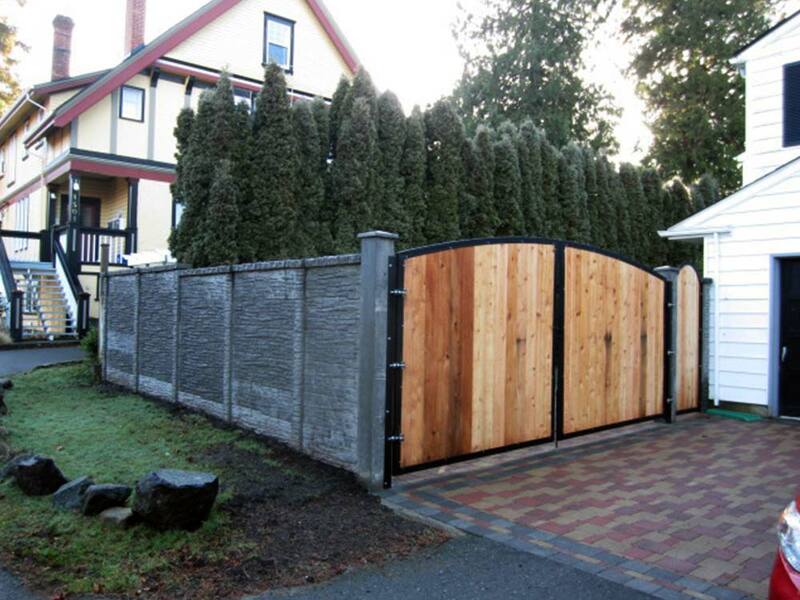 With countless design options, a wooden gate can be custom built to the exact wishes of any customer. The only downside is that larger wooden gates tend to sag over time. A solution to this problem is to have your wooden gate built inside of a welded steel frame. 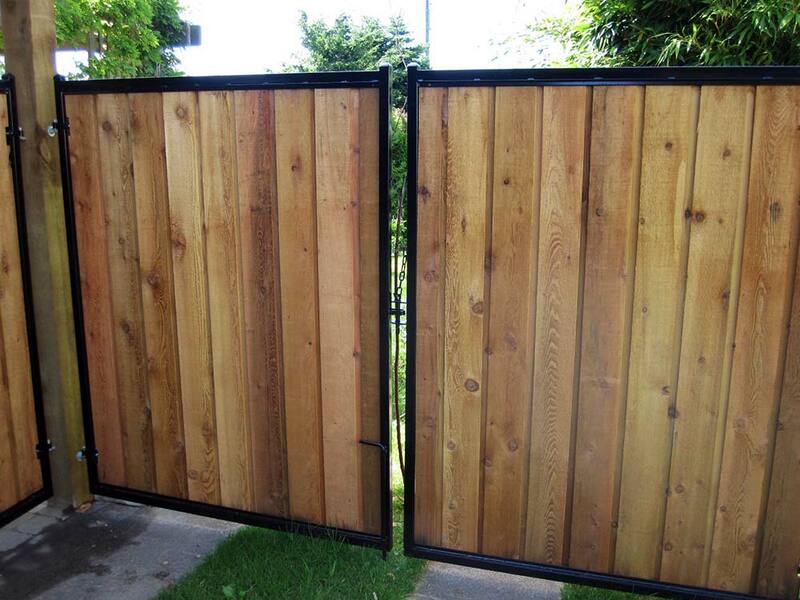 Doing this allows the customer to have both the strength of a steel gate and the beauty of a wooden gate. 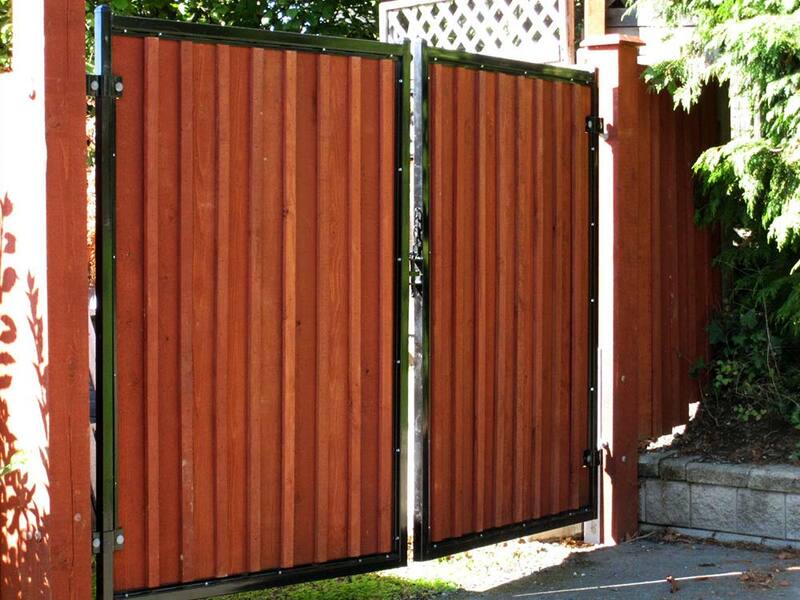 These gates can be built in almost any style, and the steel frames can be powder coated almost any colour.